Talk about the core page cache, css/js aggregation, boost, parallel, ect… Odds are their first Drupal site will be installed on very cheap hosting so load times won’t be good, unless something is done. First of all, it’s probably “Wamp”, not “WAMP”. Secondly, the current Wamp includes PHP 5.3. Drupal 7 probably does not run without problems using PHP 5.3. One can install earlier PHP plugings from the Wamp site. 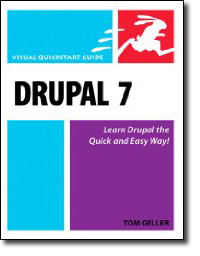 Since this is a beginner’s book I don’t know if a comparison between Drupal 6 and 7 is required. I think that for people starting out with Drupal a chapter about how to interact with the community is more important, especially on how they can get help on the forum, on irc, on groups.drupal.org and explain the local Drupal groups. I would also include a description of popular modules such as views, pathauto, service links and the new media module. Add a short note about how, at the time of writing, some modules might not have a stable Drupal 7 version available but that they are expected soon. If this has been already covered my apologies. 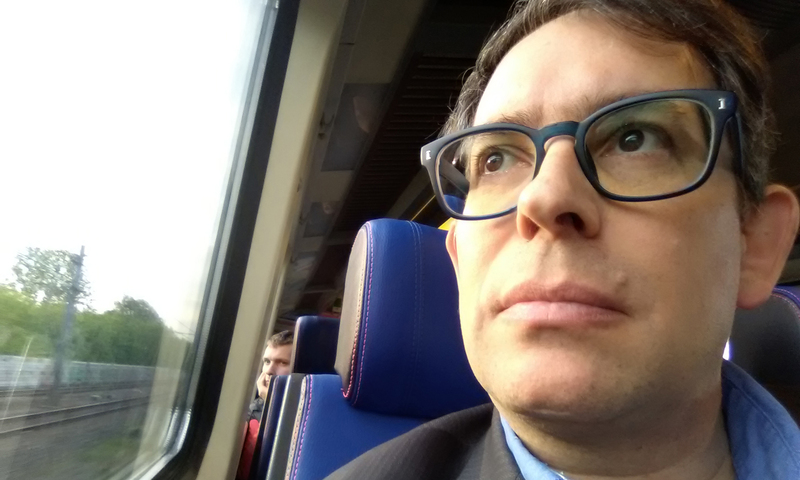 – will there be any performance gain, lesser size, lesser cpu consumption in D 7 ? Drupal 7 should be made PHP5.3 Compatible and eventually PHP6 compatible. Do you know if the publisher will offer an early access edition? I’d love to take a look at the book now. Yup, there’s an early-access edition! It’s on Safari Books Online. Here’s the direct link. This technology areas are supposed to figure in Drupal 7. To what extent will you address them in your book? Hopefully at least an orientation for beginners. Hi, jx. I’m afraid that none of those subjects are in this book: In my opinion, they’re both too advanced and too “young”. in a chapter being written by Stéphane Corlosquet (scor), who led getting RDF into core. In the meantime check out presentations by scor or a bunch of posts and videos by Lin Clark for some RDF introduction. I know it’s probably too late for your book, or maybe too advanced, but some explanation with examples on how to incorporate some basic (or advanced) jQuery stuff into Drupal managed content would be great. If you know of any resources I would appreciate it if you (or anyone) would post them. Things like creating a tabbed interface, or tabs within right or left column blocks, or dropdown tiered navigation (or a meganav) managed with the menu section of Drupal… that kind of thing. I get how to do all of this in jQuery but am having difficulty translating that into what Drupal allows you to do… how to set it up or structure it within Drupal. ps – I found your site via the Lynda tutorials – very informative thanks! Hi, Jim! Thanks for the ideas, which I agree would be great for an advanced Drupal book. Unfortunately, this one is (a) too elementary for such subjects, and (b) already written. (Well, it needs a complete revision to match Drupal 7’s new interface, but the basic text is there.) Sorry. Thanks for the links Tom, and thanks for the quick reply, much appreciated! Anyone know of any websites/tutorials that address this? My vote is for the above. the focus on interacting with the Drupal community. How did that end up working into the final book? For the record, the entire book is being rewritten from the ground up to take into account changed in D7. But the community section should remain pretty much the same. In your Lynda training basic lesson you refer to an existing database “2trees.sql.gz to import into the test site. However, since I dont have that and it is not part of the upload for the training, what am I supposed to use to import? Hi, Robb. The exercise files are part of what you get if you sign up for lynda.com as a Premium subscriber, at $37.50/month. You also get them when you buy the course on DVD.